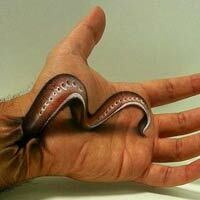 Mind blowing optical illusions created by Italian makeup artist Luca Luce using the palm of his hand. He produces surreal, three dimensional artwork with the help of perspective, clever shadow placement and a photo-realistic style of drawing. Recent graduate of Hongik University from Korea, artist Jee Young Lee transforms her small studio space into a series of surreal fantasy worlds. These pictures are not Photoshopped but everything is built and created in the same small room. Australia-based graphic designer Jeremy Kool brilliantly displays paper sculptures of all types of wildlife. These digital illustrations range from an imposing stag to a modest firefly, each made with remarkable believability with realistic creases and textures. Julian Beever is known all over the world for his pavement drawings, more especially his 3D illusions, drawn in a special distortion to create an impression of 3D when seen from one particular viewpoint.